The fashion behemoth said its focus is shifting to "digitally savvy North American consumers"
Another Fifth Avenue fashion titan has announced it will shutter its flagship on the famed shopping strip, serving a reminder of the decline of brick-and-mortar retail. 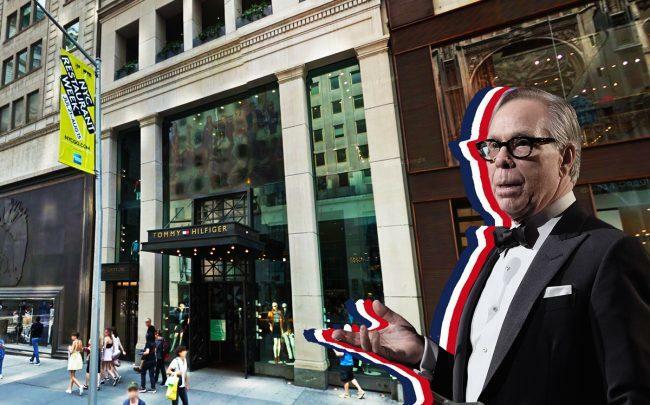 Tommy Hilfiger will close its 22,000-square-foot store at 681 Fifth Avenue, according to Women’s Wear Daily. The company will also reportedly close its store on Collins Avenue in Miami Beach at the end of April. “We will focus on next generation retail experiences and partnerships to stay ahead of today’s continuously changing shopping habits and preferences,” the statement read. The move comes after other fashion giants have closed on Fifth Avenue, including Polo Ralph Lauren, the Gap and Lord & Taylor. Hilfiger has offloaded other sites recently. In February, the company sold the Raleigh Hotel in Miami Beach to developer Michael Shvo for $103 million.